Can you believe it’s Thanksgiving in just a few days?! Each year on Irresistible Pets, I post which foods are safe for pets and which ones are dangerous. 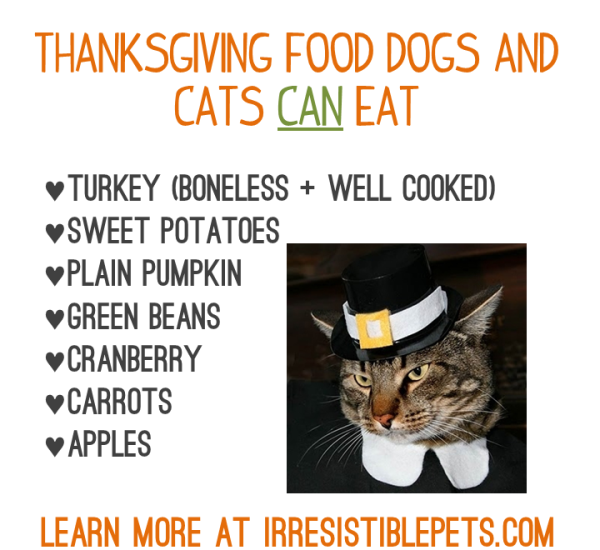 I’ve updated the post this year and want to make sure your Irresistible Pets are ready for Thanksgiving! Thanksgiving for dogs is a fun time of year but make sure you know what not to feed your dog. Be sure to also check last year’s post for other Thanksgiving pet safety tips. 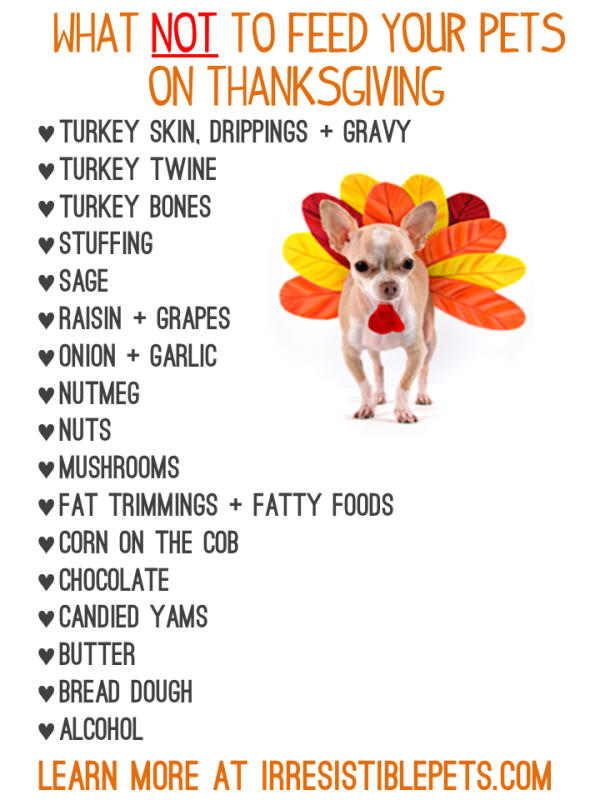 There are some foods that your dogs and cats CAN eat on Thanksgiving. These foods should be given in moderation and without seasonings like butter, salt, onion, garlic, etc. Pumpkin is one of the healthiest foods for pets during the holidays. Chuy absolutely loves anything pumpkin flavored! Check out our round up of pumpkin dog treats and apple dog treats for ideas and inspiration! Be sure to check out our DIY Pet Project Gallery to get inspired for the holidays! Leave us a comment below and tell us what you’re grateful for this year! Time to update this again. Chuy would love some raw turkey and bones. Dogs are made to eat raw food & bone, this is just plain fact. Cooked bone is what you avoid. My teacup’s enjoyed a meal of raw turkey with bone and skin this morning. Years of raw diet, they poo poo the kibble, won’t have it. 🙂 Im grateful I switched to raw a long long time ago. Yes as long as it’s credited back to my site.